In today’s economic and business climate, small to medium sized businesses face the greatest challenges in history, challenges that without proper structural safeguards can sink an otherwise thriving business: litigations at an all-time high, regulatory changes and pressures from every level of government, supply chain interruptions, economic downturns, cyber attacks, geopolitical risks… the list goes on. As a response to this challenging environment, Insurance Specialties consults with closely held businesses to create customized risk programs utilizing captive insurance, a viable, legally sound alternative to commercial insurance. For decades, well known U.S. companies have quietly utilized captive insurance to cost effectively and tax efficiently control risk and build greater financial strength. Every DOW 30 company and over 90% of S&P 500 companies now utilize captive insurance structures. Insurance Specialties is an Austin, Texas based alternative risk consulting firm dedicated to supporting and strengthening the backbone of the American economy: small to mid-size closely held businesses. Serving clients coast to coast and abroad, and across many industries, Insurance Specialties offers a powerful yet under-utilized tool, captive insurance, to increase the staying power of each client company the firm serves. Insurance Specialties takes on new clients on a referral basis within an established network of satisfied clients and their professional advisors, bringing to each new relationship a team of seasoned professionals with experience in risk management, corporate structure, insurance and tax law, actuarial science, financial planning and insurance company administration. The goal of each client engagement is a customized, cost-effective, captive insurance program that delivers the benefits of captive insurance without burdening our clients with administrivia. 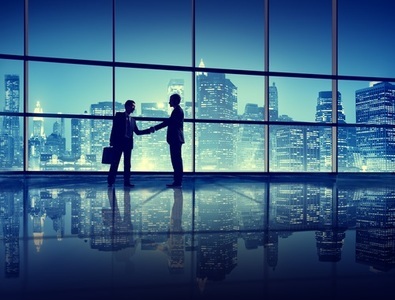 In addition to consulting at every stage of a client relationship, Insurance Specialties’ services include feasibility review, domicile selection, entity formation, program creation, ongoing program management (financial statements, tax returns, reserve calculations, claims administration), and requisite compliance. We invite you to contact us for a discussion specific to your business. ​Insurance Specialties offers advisory services related to the formation, ongoing management and proper utilization of captive insurance as a powerful supporting structure to a business enterprise. At Insurance Specialties, we work with new clients on a referral basis, drawing from an established and growing network of professional advisers. We are convinced that our clients are best served through a coordinated team of of seasoned financial, tax, legal, actuarial, and administrative professionals to bring customized, cost-effective, CIC services including feasibility studies, formation, ongoing administration, and compliance. Additionally, Insurance Specialties offers commercial insurance review, valuation consulting services, and expert witness services in this burgeoning area of law surrounding captive insurance. We also offer continuing education to CPAs and attorneys in conjunction with institutional partners. build significant reserves over time. Insurance Specialties is an Austin, Texas based alternative risk consulting firm dedicated to supporting and strengthening the backbone of the American economy: small to mid-size closely held businesses.